How well you are endorsed on LinkedIn is said to impact your appearance in its search engine results page (SERP). Want all your skills to say “99+” endorsements without hassling all your real friends? No problem! You can be at 99+ within a week or two using this little bit of manipulation. The secret here is no big secret… It’s a list. A list of people, just like you, who want endorsements and are willing to engage in a little mutual connection and endorsement. And there are in fact many such lists, but all you need is one, as long as it’s big. There are various places to get a list of people who have volunteered to be contacted and agreed to mutual endorsements. If you look in LinkedIn you can find groups of LinkedIn Open Networkers (LIONs) who have agreed to just that. I used the Open Endorsers list, which was a post started by someone for this purpose and everyone added their email as a comment. You could do as I did and scrape the entire comments, filter out all but email addresses, de-dupe the list, then remove invalid entries. I guide you through just this process for harvesting an open networkers list (and you can do the same with an open endorsers thread). Please follow this guide to clearing your contact list, importing a new contact list, and using a custom invite message. 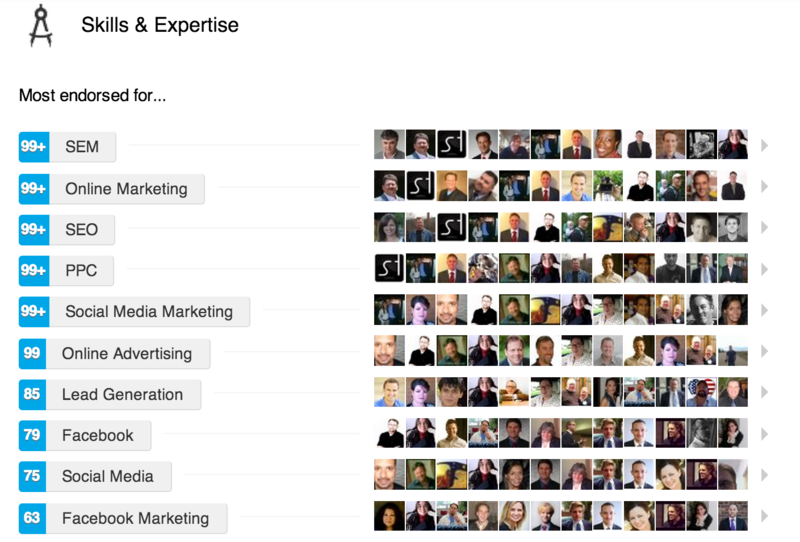 LinkedIn makes it easy for someone to endorse you. They click to visit your profile and at the top of your profile it lists a handful of skills you have and asks them if they can endorse you for them. They click one button and they have endorsed 5 or so skills. 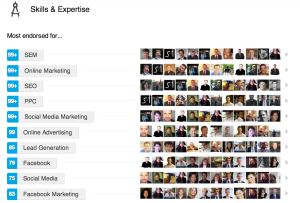 The skills LinkedIn picks tend to be the skills you chose to rank highest. Also, if people scroll down to the bottom of your profile they can endorse each skill by clicking once for each, again people tend to endorse you more for what you have chosen to rank most important. So, as you see the endorsements coming in, edit your profile and re-arrange the skills to ensure a more even, natural, and preferred distribution. You have sent people an invite saying you want to connect and exchange endorsements. This is no time to be a jerk and fail to reciprocate. Endorse them back! And here is where automation can really help! The endorsers list I include above has 1,000 people in it. Do you want to click to view their profile and then click to endorse as many as 1000x? Of course you don’t! But I’ll have to share those scripts in a future post.